Optometry board review website with 2000+ questions for the NBEO Part 1, NBEO Part 2, or ABO Examination. 2650 high-quality questions and counting in the database! The very best Optometry board review website! We offer the best bang for your buck in the Optometry test preparation business. Period. ODQuestions guarantees you will pass your exam the first time! Our test engine accurately simulates the real exam. Easy-to-use and fast! Our website does not waste your precious time with slow page loading. Know exactly how you are doing with Percentile Scores and Leaderboard rankings. No other resource keeps their database of questions as relevant. Period. 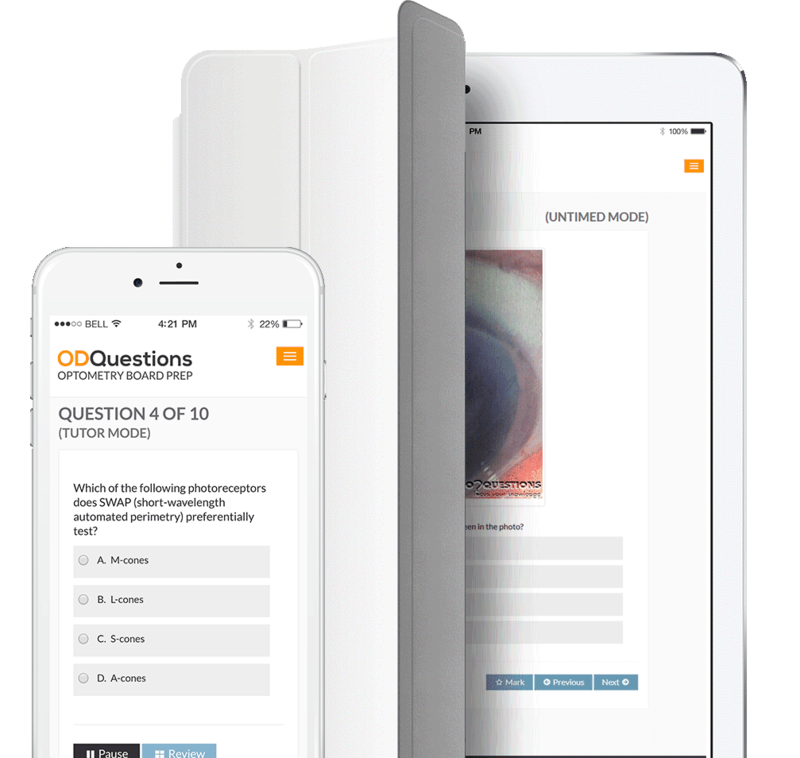 I found your practice questions much more practical, useful, thorough and "board like" than KMK and Optoprep!!! In every optometry school there are whispers of fear that echo through the halls. They start few and far between in the first year, but by the time third year comes around if you dare to utter the words Part I you might as well be Harry Potter screaming out Lord Voldermort's name. The NBEO committee of the AOSA is made up of students from several different optometry schools who have the same doubts and hesitation as you do about taking Part I. We decided to put together a survey for those in the class of 2014 who recently took Part I of NBEO and see how they prepared and what they would do differently. We have the results for you below along with a comprehensive review of each Part I prep guide out there and some extra study tips to boot!